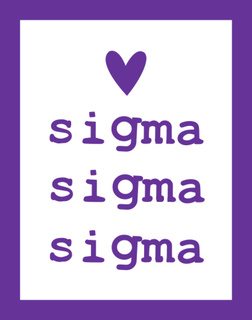 We are crushing on the amazing ladies of Sigma Sigma Sigma. 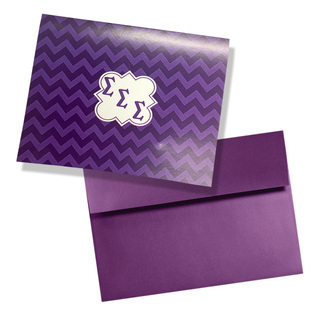 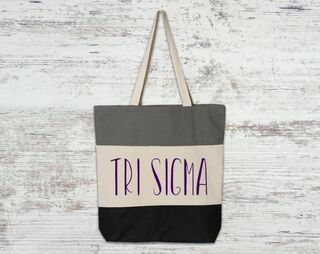 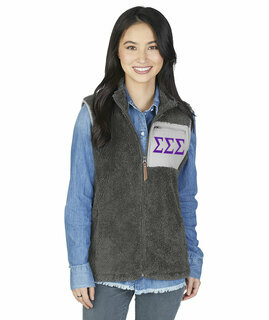 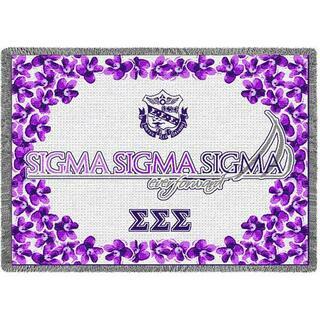 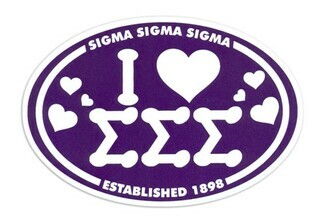 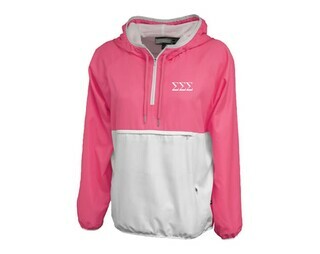 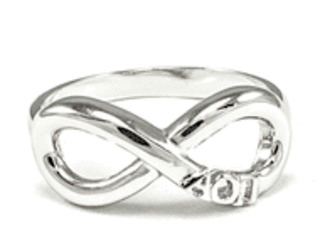 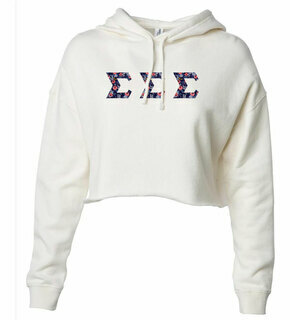 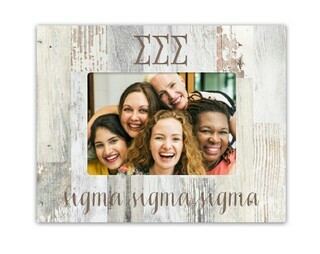 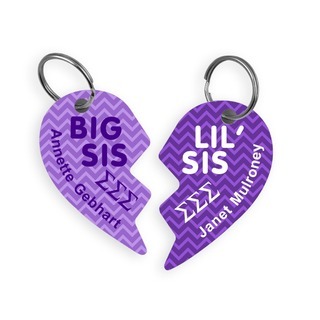 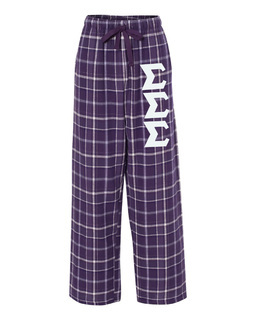 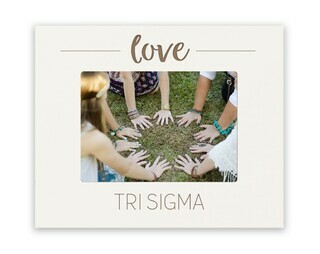 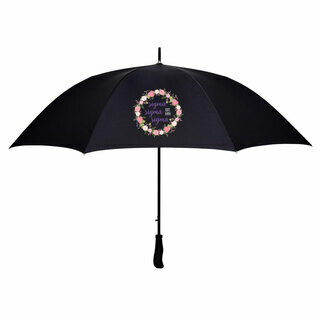 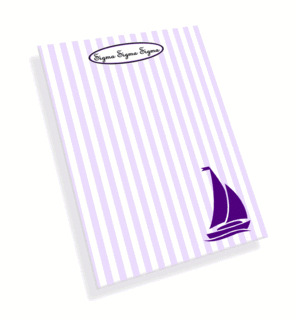 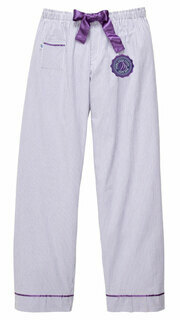 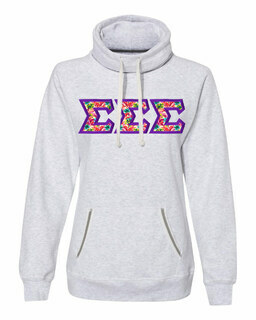 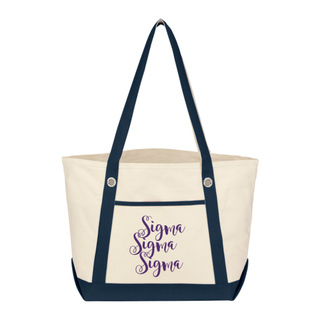 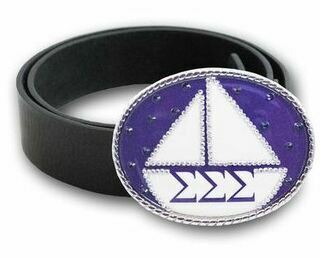 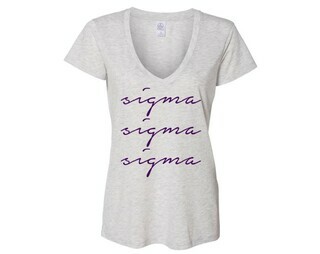 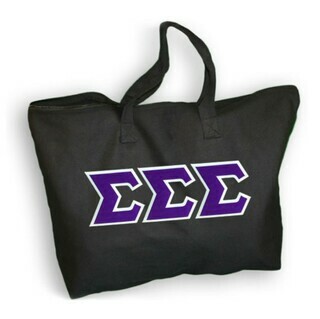 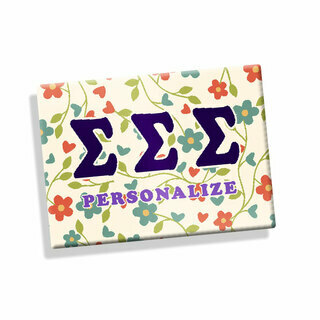 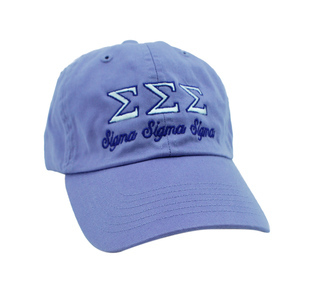 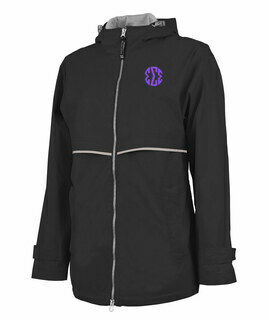 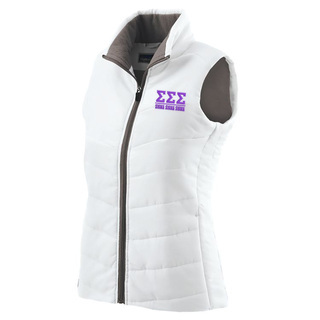 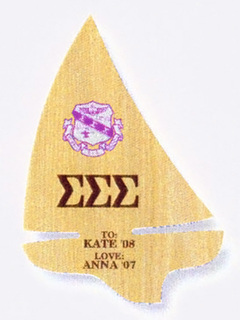 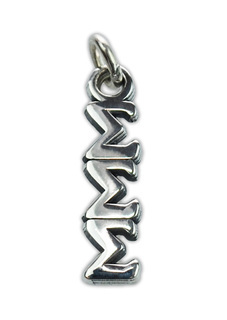 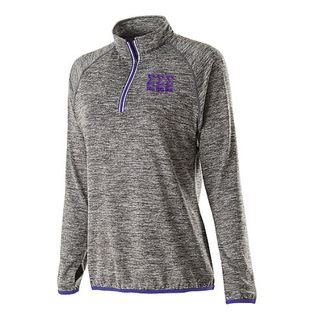 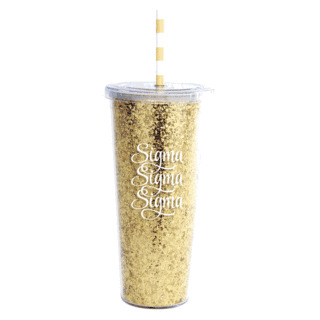 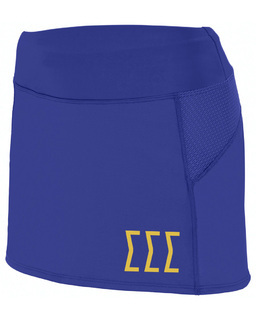 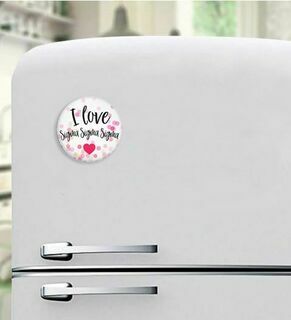 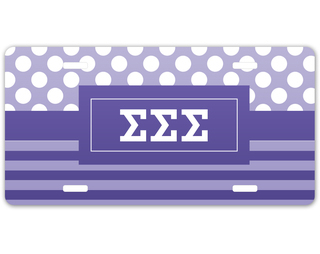 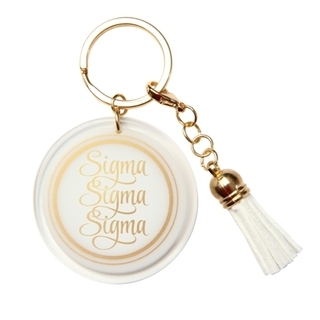 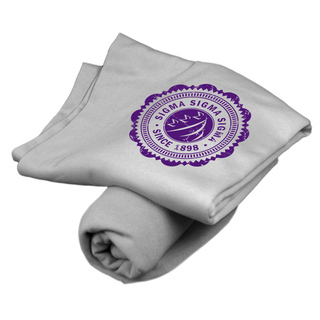 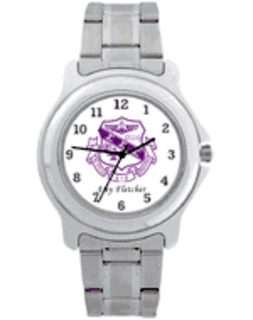 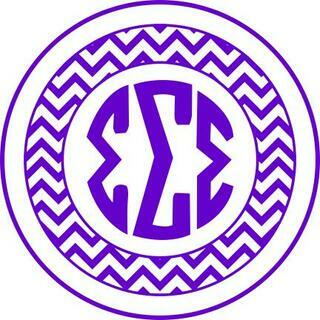 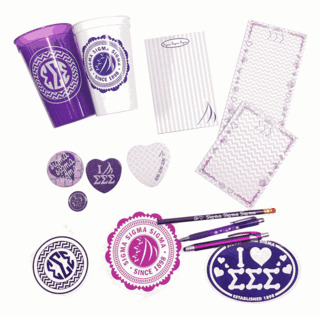 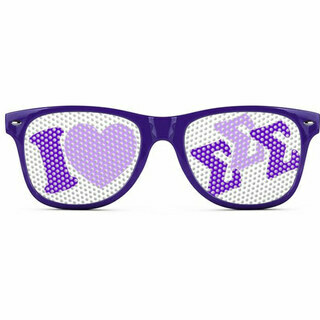 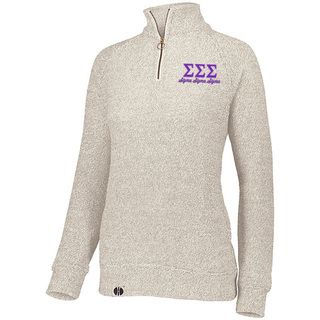 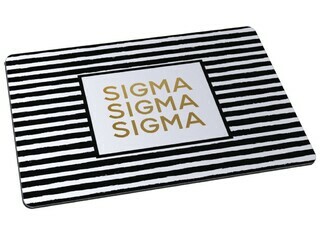 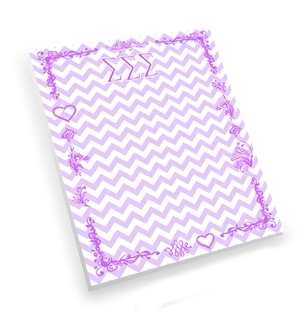 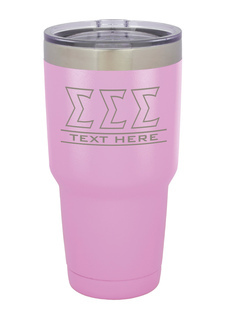 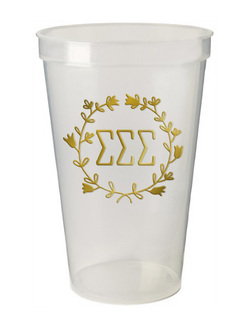 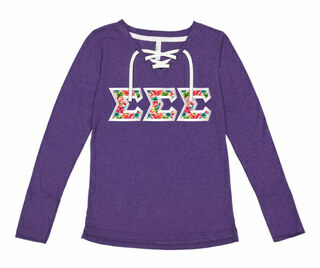 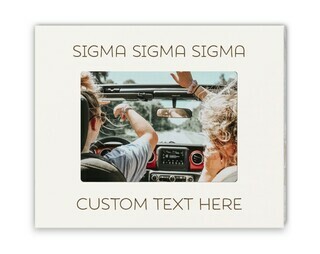 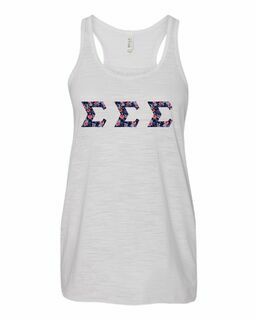 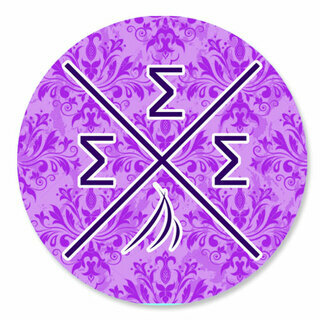 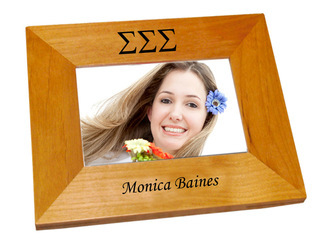 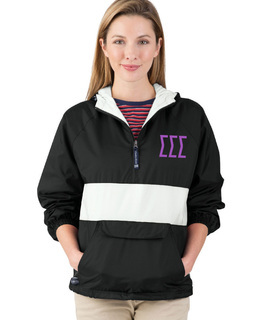 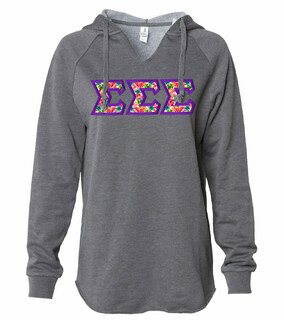 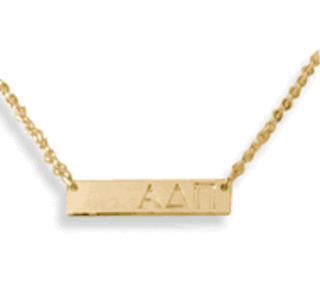 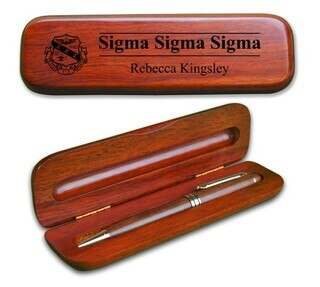 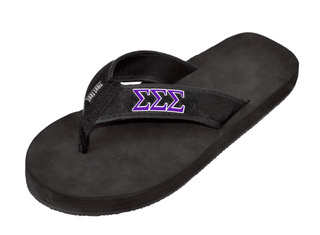 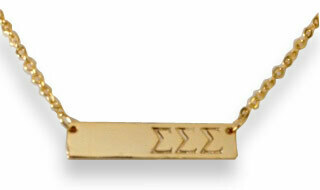 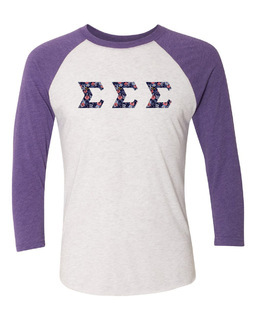 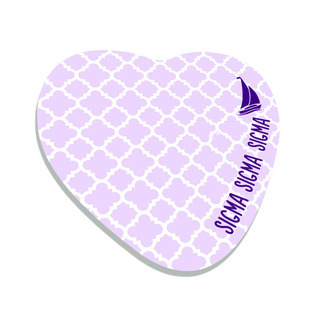 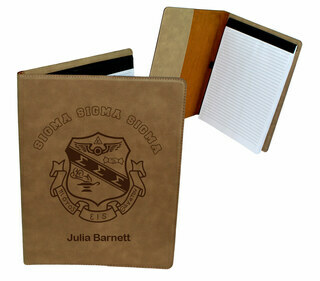 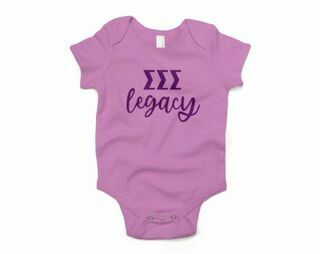 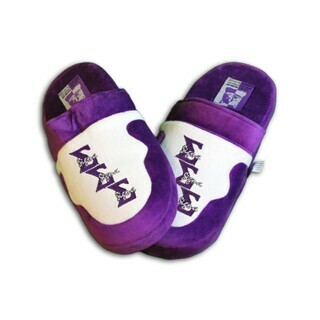 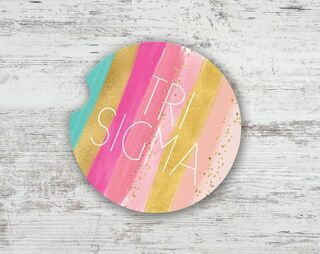 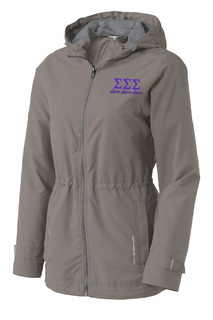 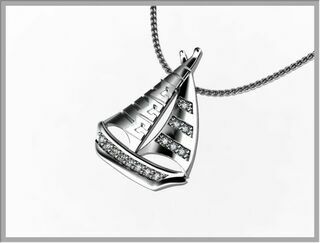 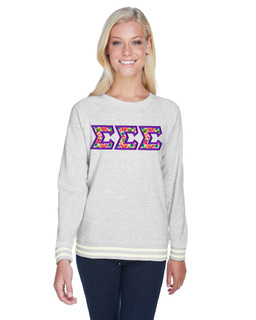 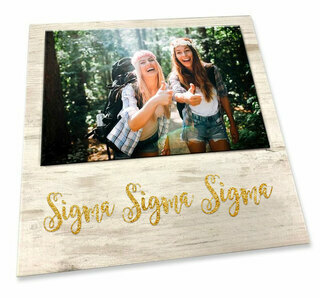 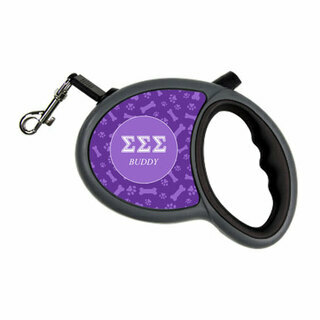 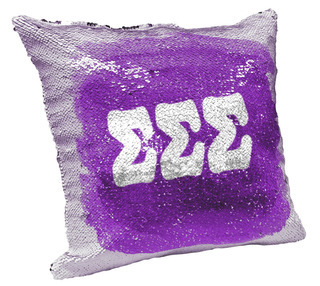 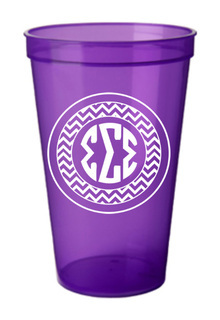 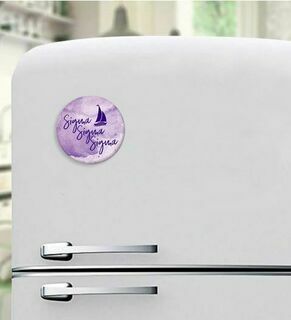 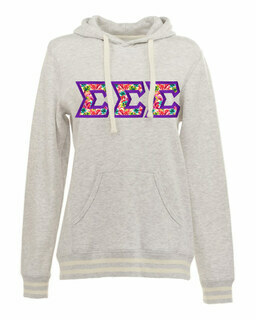 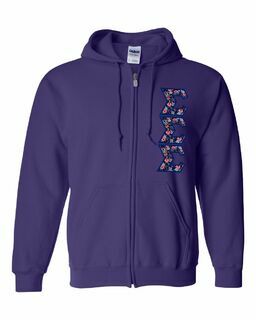 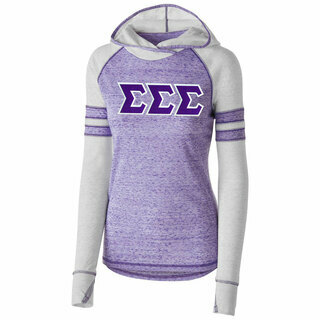 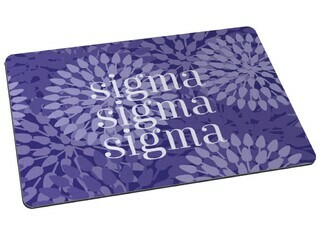 If you�re a Sigma lady, you�ll always find wonderful Greek items personlized for your sorority at GreekGear.com! 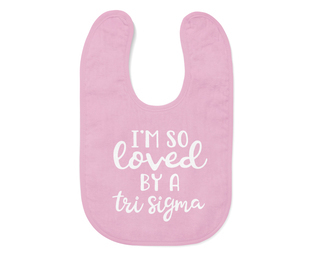 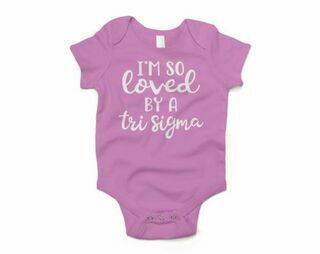 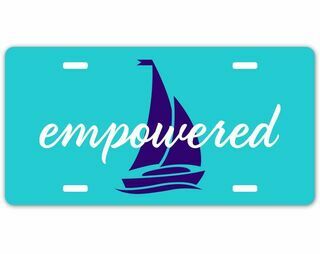 That includes Greek bid day gifts, para, Sigma Sigma Sigma novelty items, Tri Sigma clothing, custom Greek banners, and other personalized Greek merchandise. 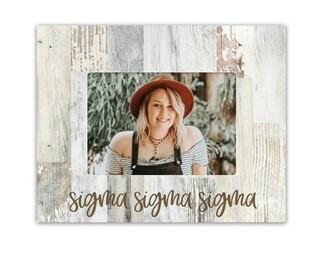 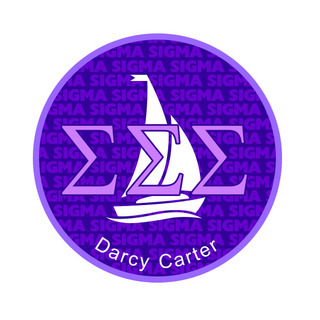 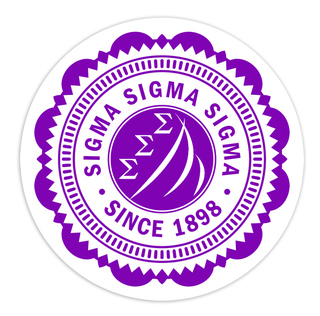 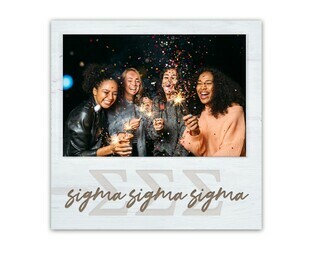 The Sigma Sigma Sigma national sorority was founded on April 20, 1898 at Longwood College in Farmville, Virginia by eight students: Margaret Batten, Louise Davis, Martha Trent Featherston, Isabella Merrick, Sallie Michie, Lelia Scott, Elizabeth Watkins, and Lucy Wright. 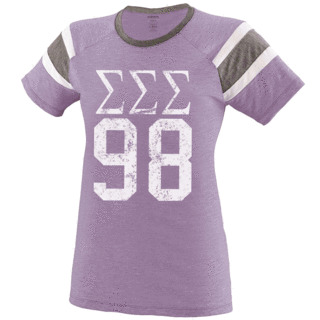 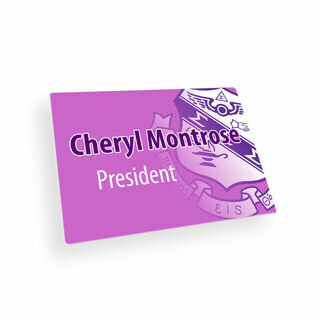 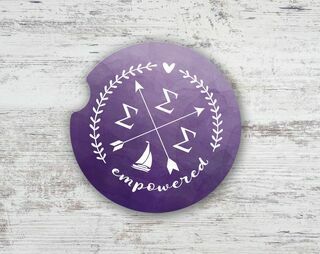 Their goal was and is �to provide a lifelong sorority experience for women through ensuring a perpetual bond of friendship, developing a strong womanly character, and promoting high standards of conduct.� The sorority�s colors are Royal Purple and White, and the motto is �Faithful Unto Death.� Famed American Idol winner Carrie Underwood is a member of Sigma Sigma Sigma. 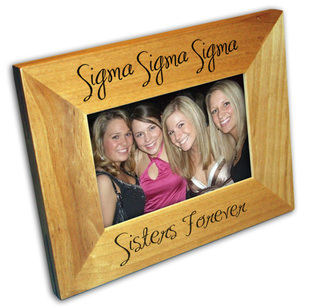 Interests can join if there is a chapter at their college. 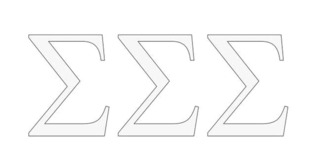 Sigma just marked 110 years of existence. 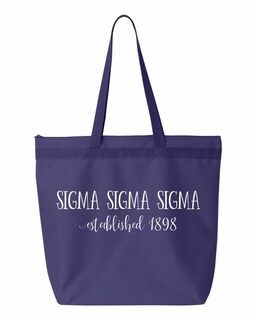 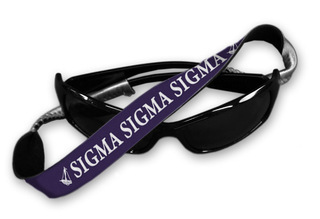 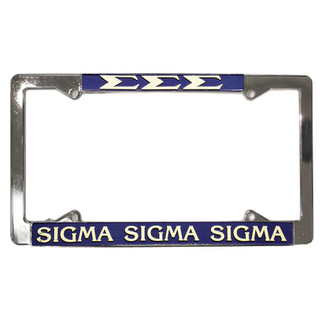 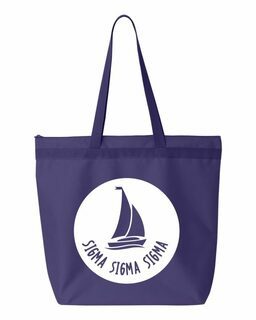 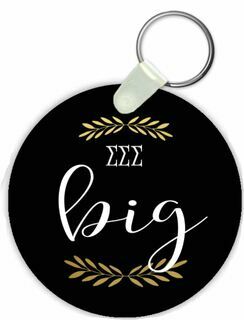 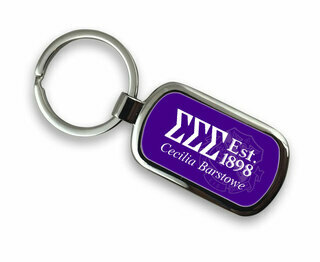 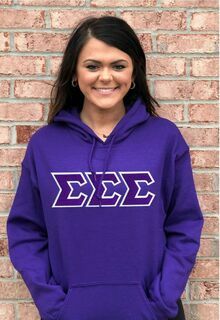 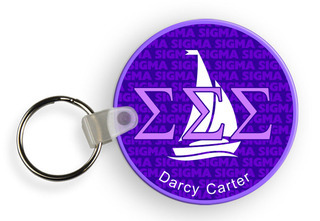 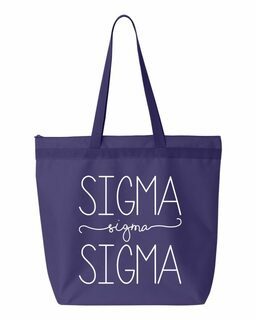 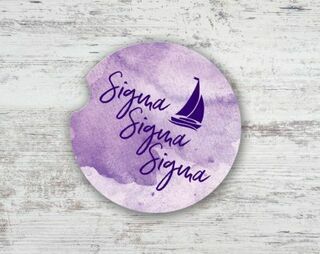 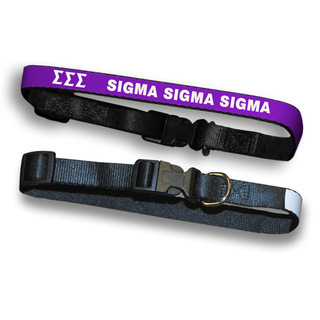 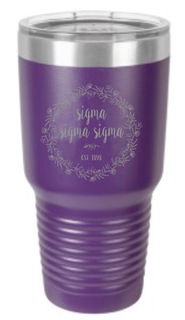 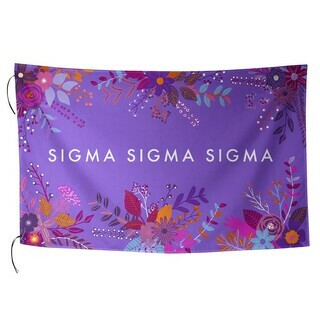 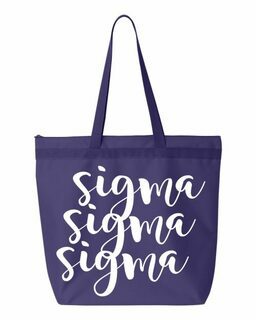 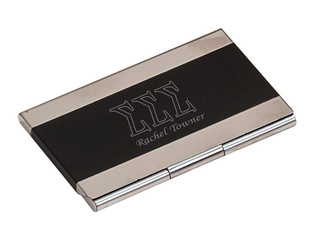 Keep carrying on the legacy established by your founders by representing your org with eye-catching Sigma Sigma Sigma paraphernalia. 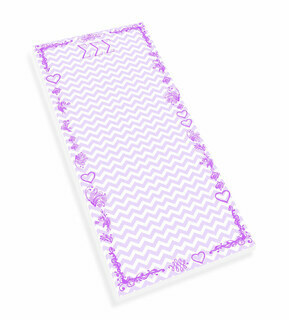 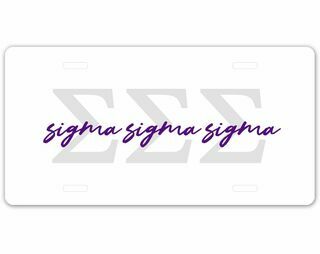 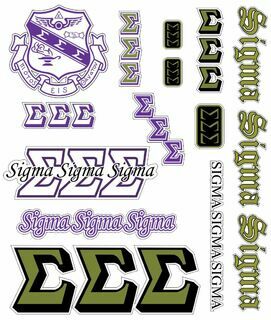 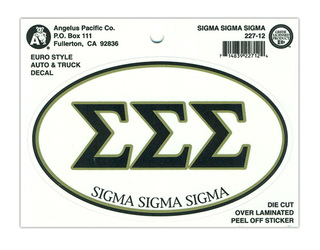 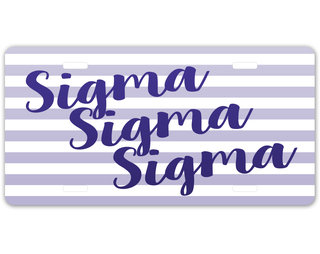 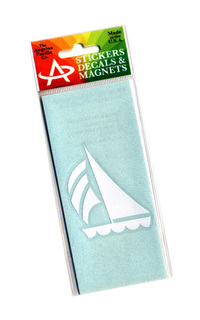 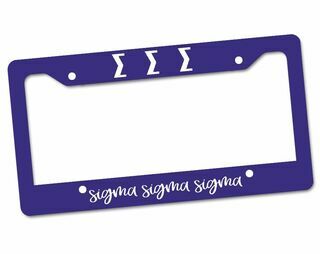 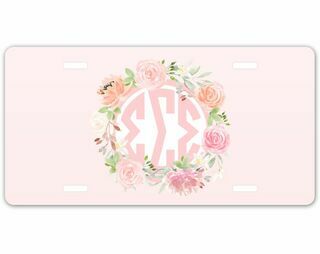 How about a pretty sorority ribbon for your hair or Sigma Sigma Sigma license plates for your car? 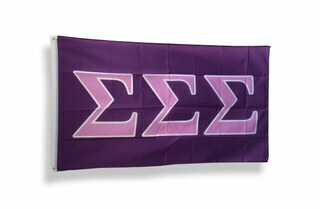 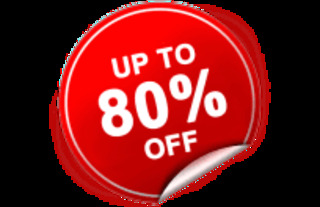 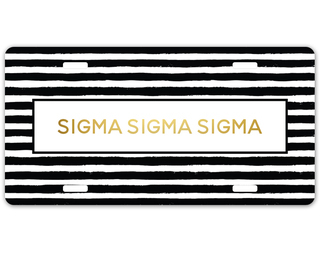 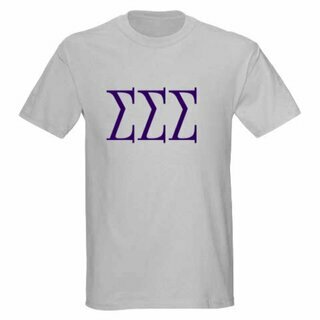 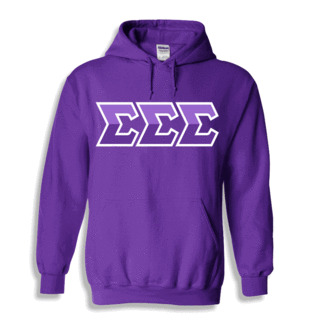 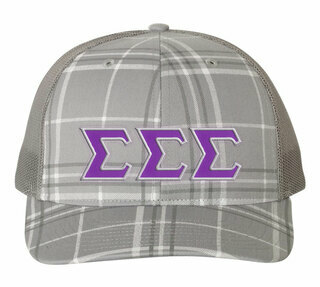 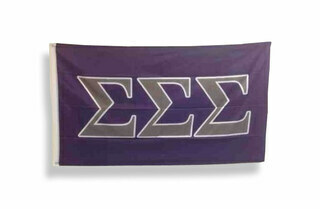 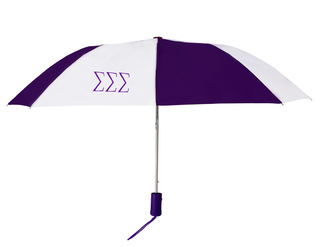 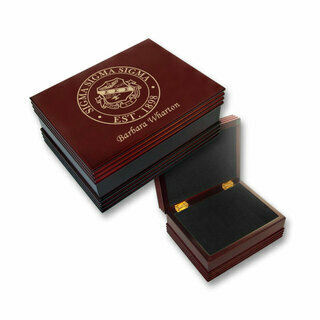 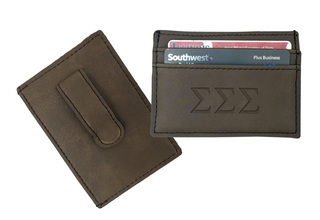 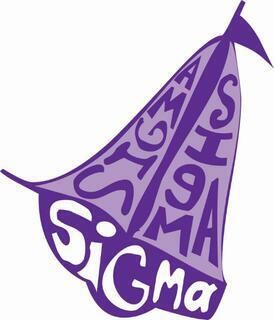 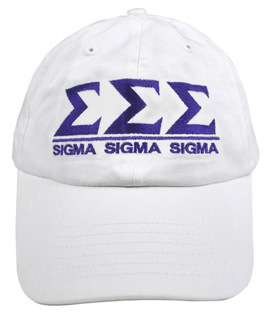 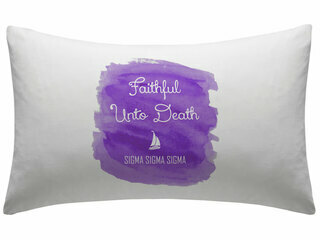 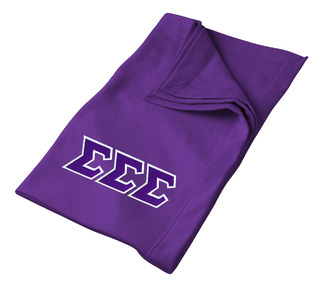 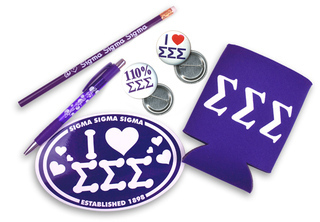 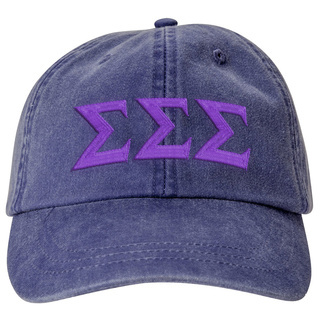 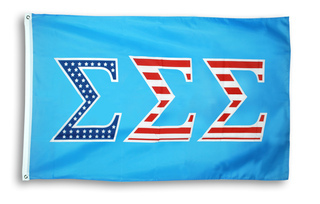 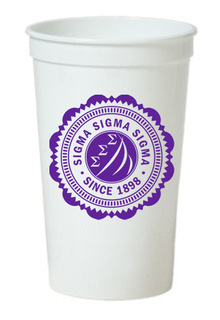 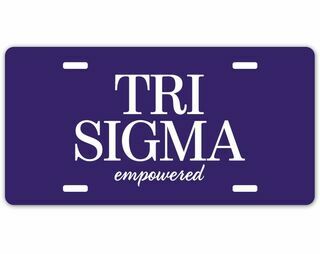 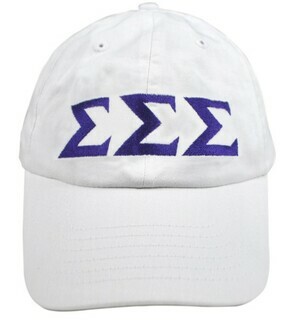 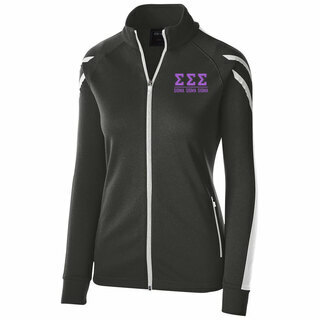 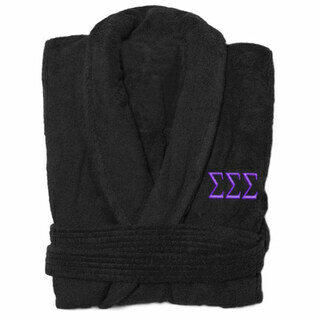 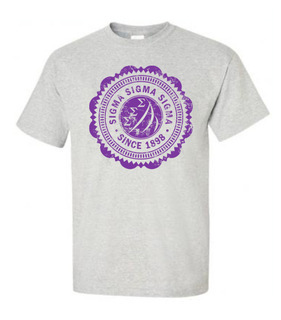 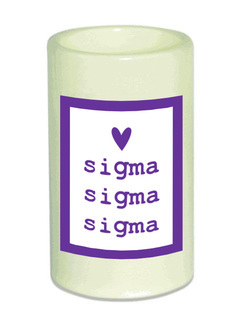 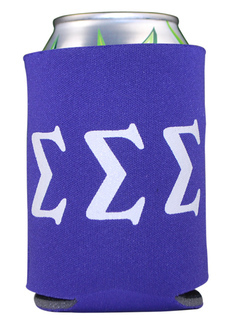 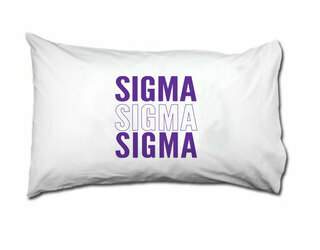 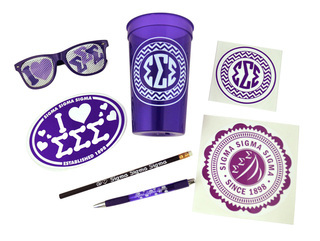 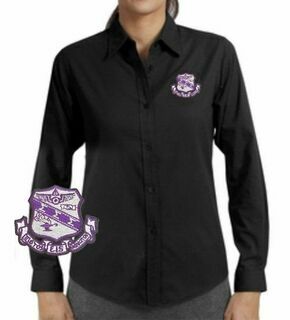 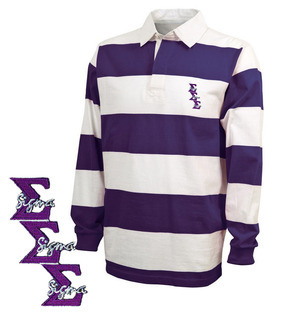 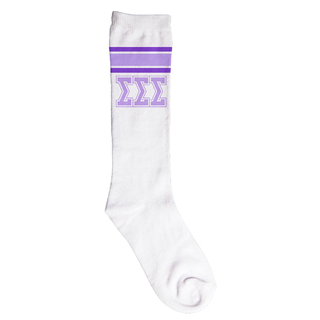 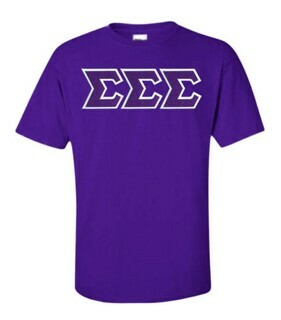 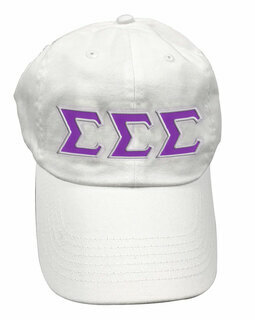 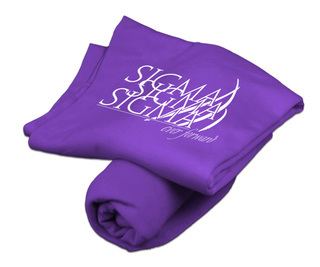 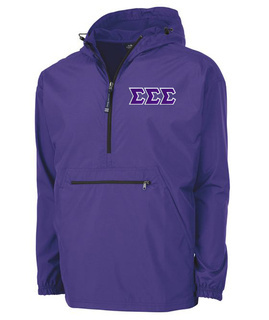 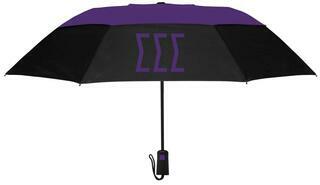 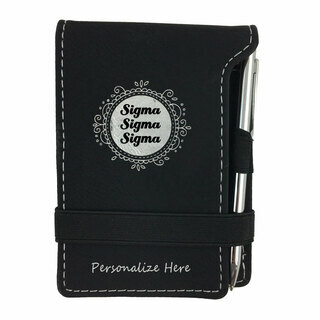 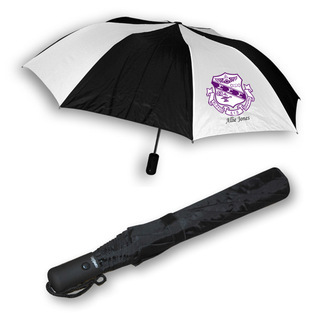 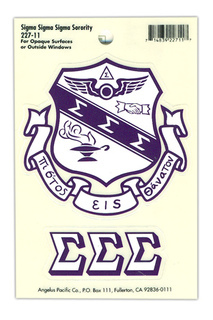 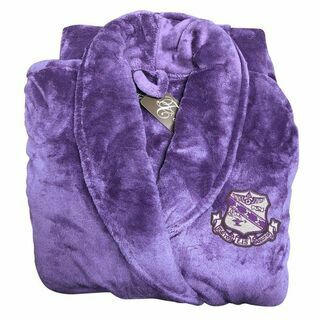 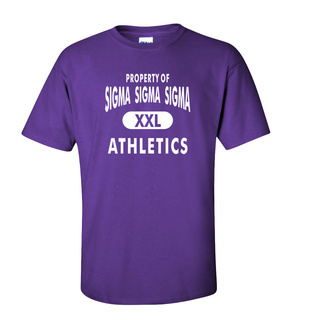 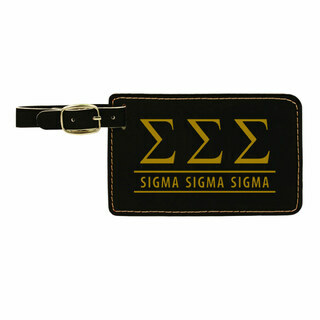 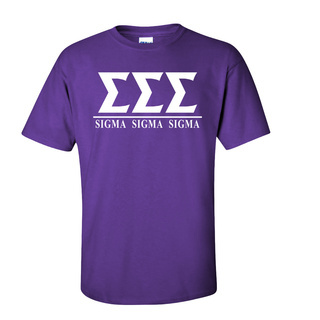 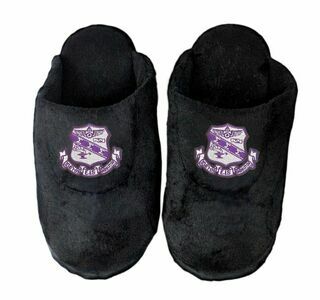 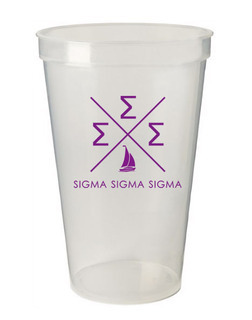 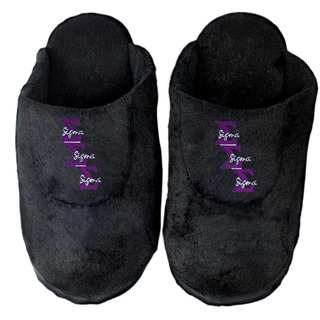 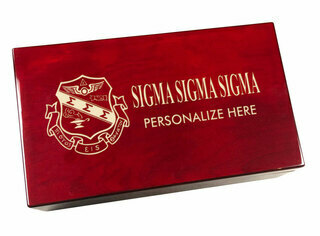 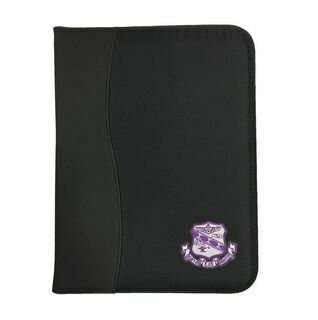 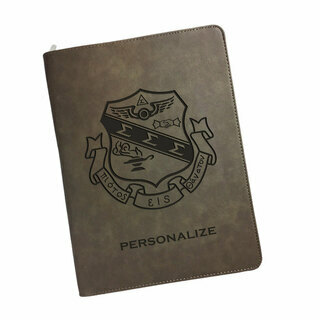 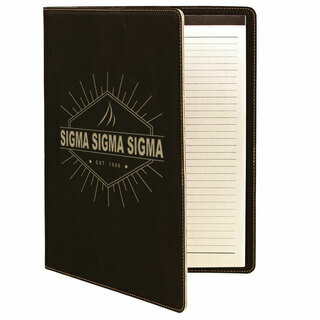 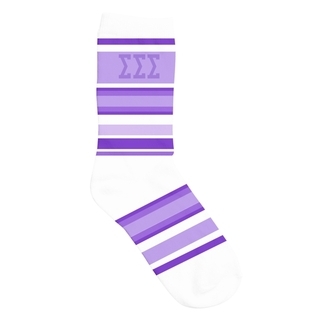 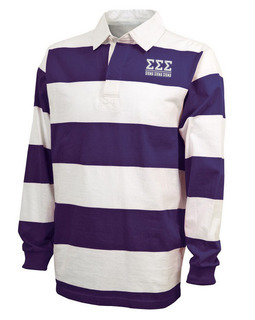 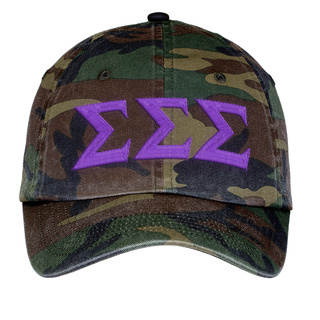 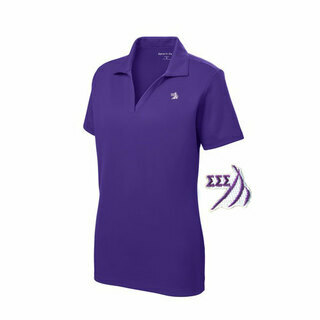 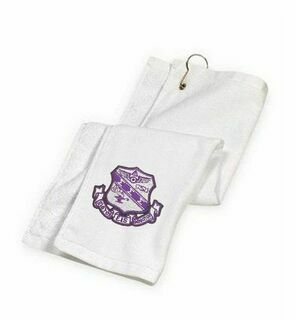 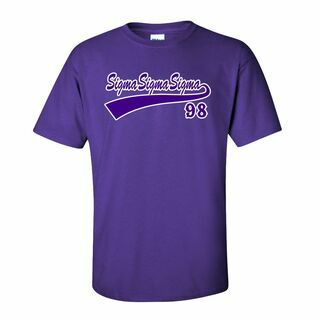 Please browse our complete selection of official Sigma Sigma Sigma Greek Merchandise below. 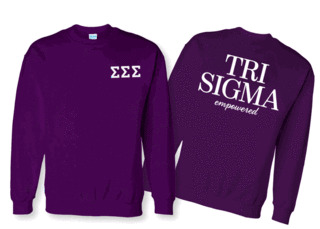 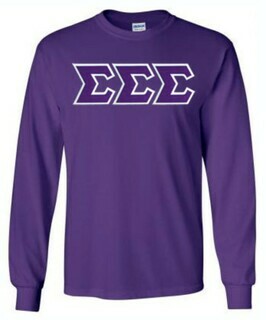 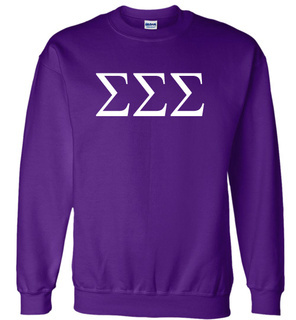 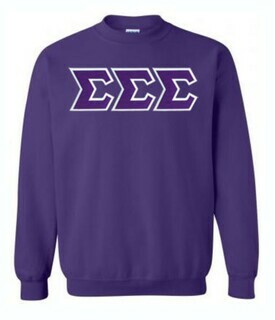 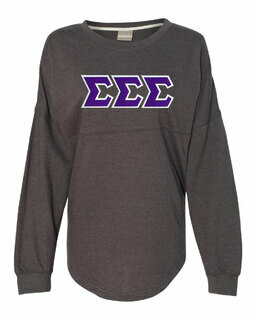 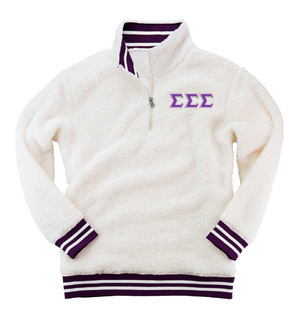 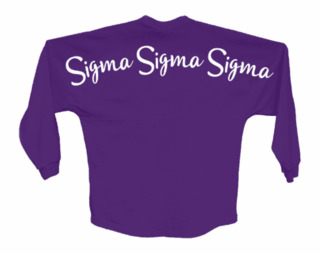 Sigma Sigma Sigma World Famous Crest - Shield Crewneck Sweatshirt- $25! 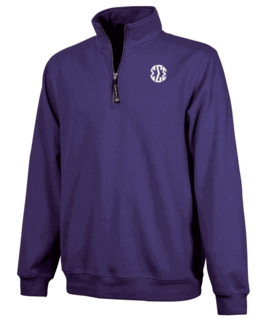 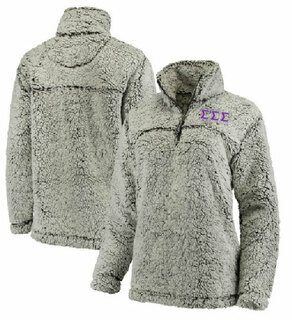 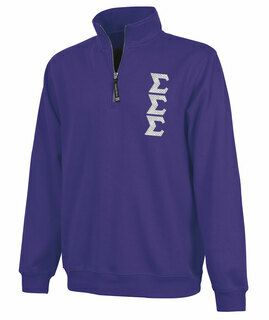 Sigma Sigma Sigma World Famous Crest - Shield Hooded Sweatshirt- $35! 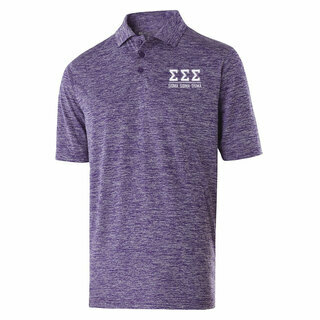 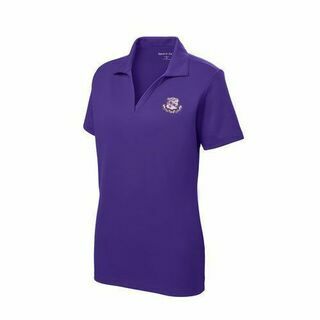 DISCOUNT-Sigma Sigma Sigma Mascot Polo!